I used lots of Papertrey Ink goodness in the making of this card. And the sentiment holds true, The Sun ALWAYS comes out again! Thank you for stopping by, and I hope you have a wonderful, and crafty weekend! Absolutely LOVE this, Ronnie! It's so gorgeous and happy...I am stumped as to why it was not picked! It's a perfect card in my book! Thanks for sharing! beautiful card. 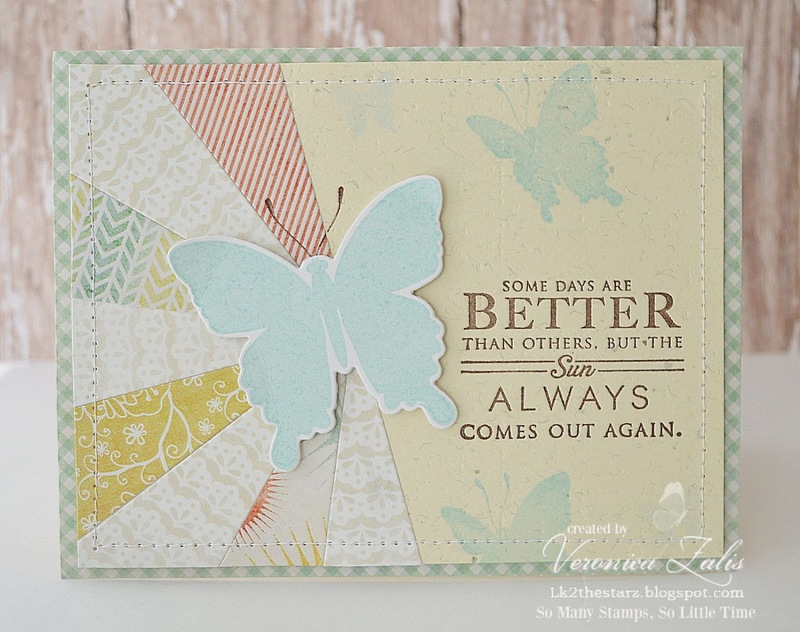 love the soft colors and not only the placement of the rays but the butterflies as well. OH my goodness - I can't believe this one wasn't picked up! It is completely GORGEOUS!!!!! LOVE it!!! SUPER lovely!!! I love the color ... the sentiment ... everything!!! This card is cray cray GORGEOUS!!!! So soft and pretty, love the design! Oh, wow, Veronica. This is soooo pretty! I love the soft colors you used and I'm always a sucker for sunrays. 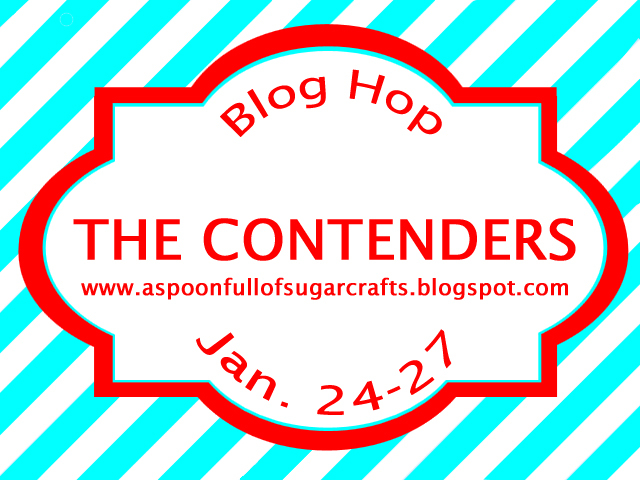 Thanks for linking up your "Contender!" Oh, and congrats on getting one selected for Readers Choice. Veronica, this is beautiful! I really love the soft tones you used! wow this is so pretty...it totally should have been picked...love the design.. This is so beautiful, Veronica! I love how you combined the rays with the butterflies, so clever! So pretty! Love the 'rays' and the stitching. Great work. Oh, this card is lovely! I love the mix of patterns and the stamped butterflies! Avery Elle New Release Blog Hop! 7 Days of Valentine's - You Are The Sweetest! The Play Date Cafe Challenge #166 - Color Splash! Your Next Stamp January Release Sneak Peek! 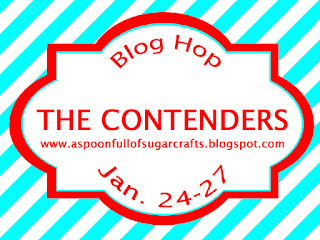 The Crafts Meow Blog Hop and Sale!